Peter Fend established Ocean Earth Development Corporation in 1980, emerging from the New York-based Offices (founded with Jenny Holzer, Peter Nadin, Richard Prince and Robin Winters). Operating as a flexible collective of artists, architects and engineers, Ocean Earth was specifically conceived as an instrument for implementing the goals of the environmental art movement, building upon the ideas of ‘land artists’ such as Robert Smithson, Michael Heiser, Dennis Oppenheim and Gordon Matta-Clark (with whom Fend worked closely until his death in 1978). 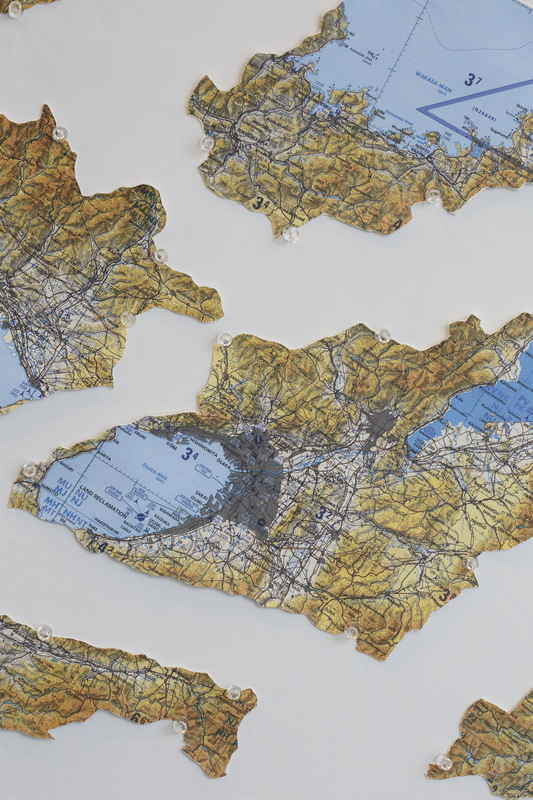 One of Fend’s principle strategies has been to view global ecologies as centred around ocean basins, rather than land masses (rendering the terrestrial focus of human cartography peripheral to hydrometric geographies). At issue is what changes in the world’s circulatory patterns result from human actions, e.g. carbon emissions, deforestation, changes in river run-off, river dams, phytoplankton depletion in ocean waters, monoculture, desertification, etc. To deal with this human impact, Fend zeroes in on smaller regions, always defined as ocean or saltwater basins, and works to assess the environmental health of these sea areas, and thus propose sustainable solutions. 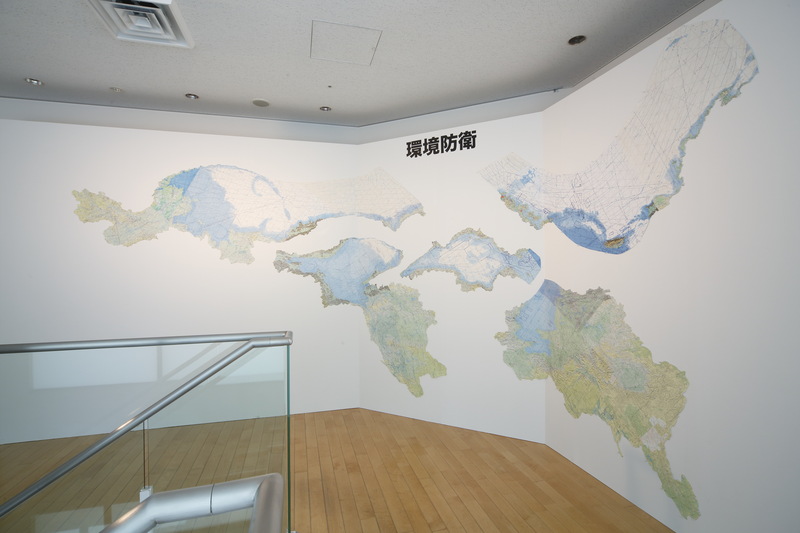 For Take Me To The River, in his Ecological Self-Defence project, he focused on the sea areas bordered by the territories of Japan but also by the lands of China, Korea, Russia, Taiwan and the USA, and connecting ocean currents such as the Kuroshio, the Liman, the Tsushima and the Oyashio. Adopting Prime Minister Abe’s contentious reference to ‘self-defence’, Fend demonstrated the direct ocean-borne impacts on Japan, as part of a larger ecosystem, under attack from environmental pollution, the depletion of marine resources and global warming. 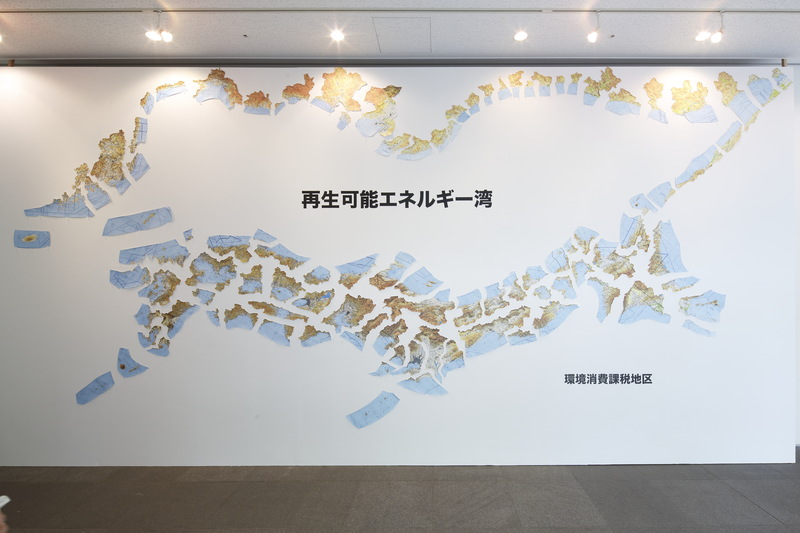 In Japan Local Waters, he honed in specifically on the ‘bay basins’ of the Japanese archipelago, effectively proposing a re-organization of territorial boundaries around the rivers and watersheds of the islands, referred to as “Ecological-Depletion Taxation Districts”. This political reorganization also suggests a new way of understanding local relations to renewable energy production, as part of a process of replacing fossil fuels with sustainable energy resources such as hydro-electric power produced by waterwheels and wave energy and through the capture of solar energy by plants, especially saltwater algae (which Fend views as the source of the “new petroleum”). This entry was posted in Projects, Writings and tagged Peter Fend; Ocean Earth. Bookmark the permalink.